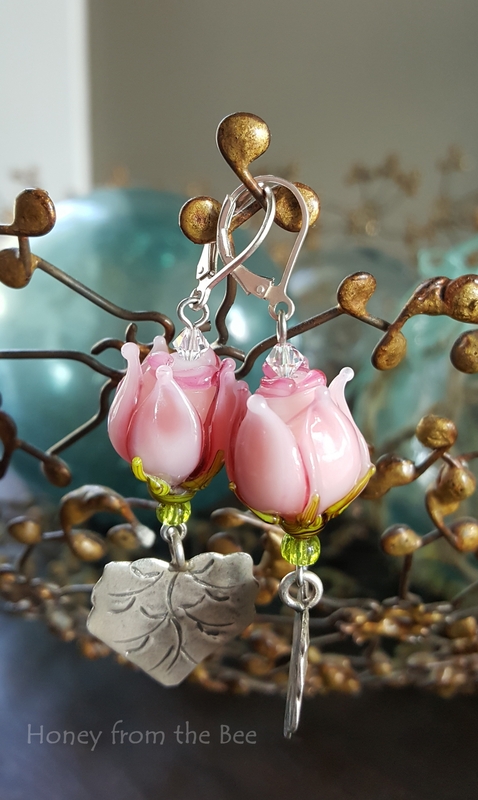 Exquisite lampworked pink rosebud earrings. 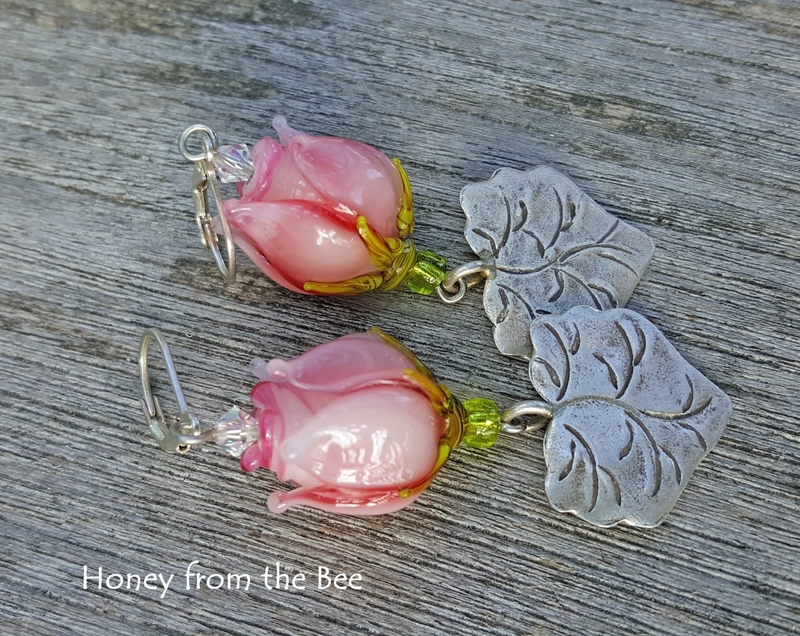 The lampwork artist made these rosebuds so realistic. I've added Swarovski crystals for dew and Sterling Silver leaves made by the Karen Hill Tribe in Thailand. 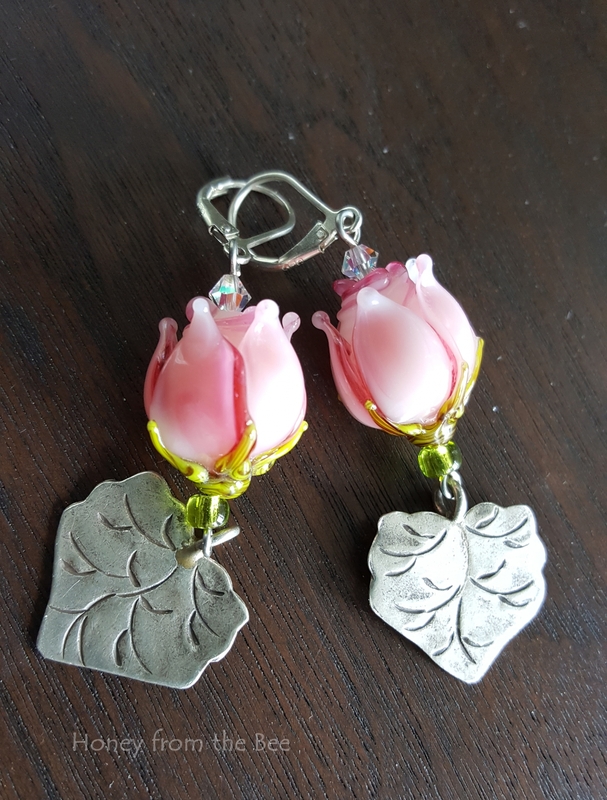 These dangle 2.5 inches from the top of the earwire to the bottom of the leaf. Sterling silver hinged earwires. For the rose lover, garden lover, romantic on your gift list. 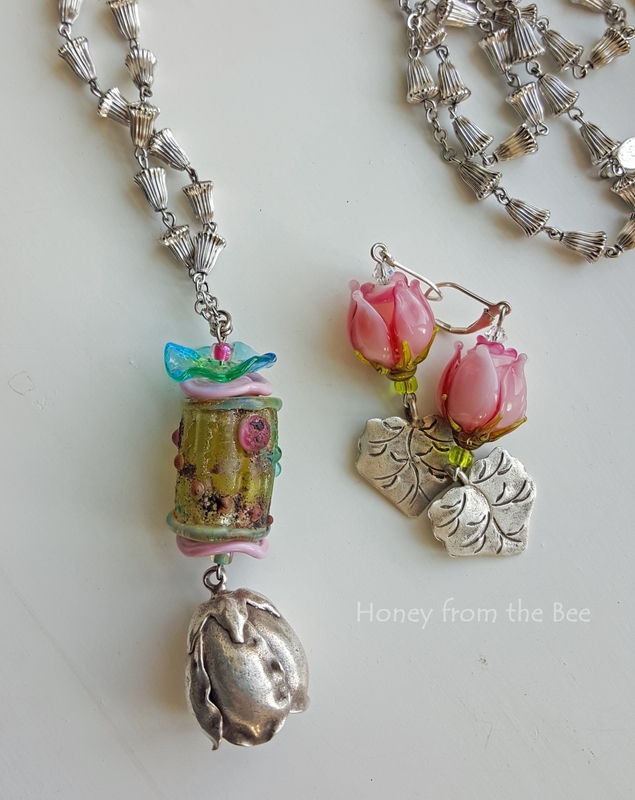 A one of a kind art pendant featuring a Monet inspired lampwork bead as shown in the last photo is available here.